Following the contours of the face perfectly, this cleverly constructed mask is designed to be worn as a headband, with the longest part of the mask sitting on or just below the wearer’s nose. Featuring a tuft of hair that sits central to the forehead, ponies may look all sweetness and light, but all pets need to be trained! 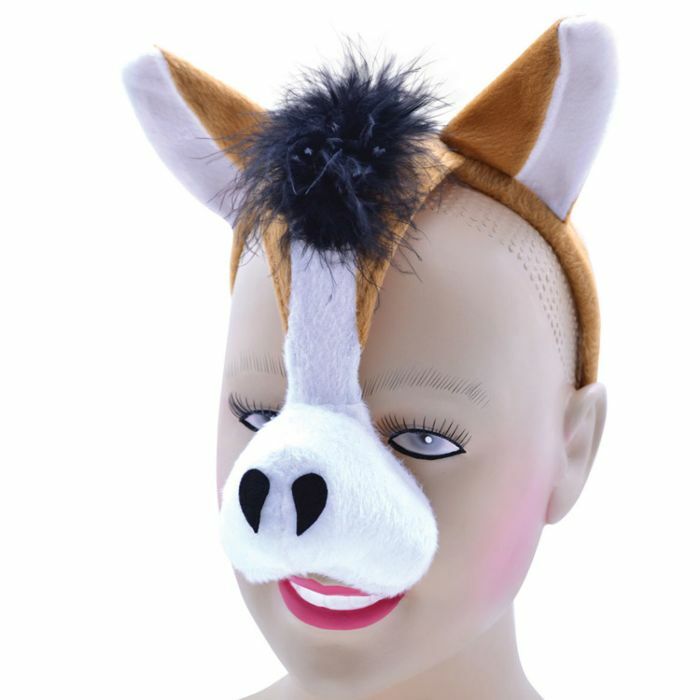 Perfect for some perverted pony play, obedient pets will just love prancing around in their cute new mask. It even comes with sound, so when bottoms start naysaying , it’s up to you to keep them in line! This mischievous mask is crafted using top quality materials that feel supremely soft against the skin, so it can be worn comfortably for long periods of time. Now, isn’t it time you primed your pony for some perverted pet play?